An electric hydrofoil is flying above the water using wings connected to a mast underneath the board. Since the first eFoil videos went viral in 2017 the trend is not to stop. The beauty of electric foils is that they consume much less power compared to an electric surfboard once they fly and the resistance of the water surface gets eliminated. This has several positive effects. Less power means wider range or less weight of the battery. Smaller batteries make the product much cheaper. Not only because less lithium ion cells need to be used also other components such like the controller need to handle less energy. Less energy means less heat and this makes things a lot of easier. But of course it is still not simple to build a reliable mass production electric hydrofoil. 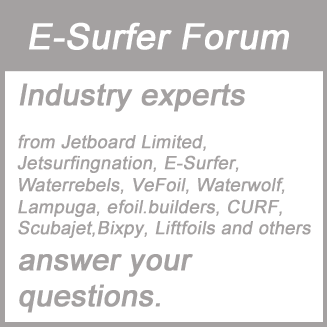 However, since it is easier to build an e-foil compared to an e-surfboard, you do not only see a lot of companies jumping on this trend within just 1 year, but also a community of DIY e-foil builders. These guys exchange their thoughts on the forum efoil.builders. This is a very good place for anyone who is considering to build a “do it yourself” electric foil. The pioneer of commercial electric hydrofoils ist Liftfoils who set a trend with their viral Youtube videos in 2017 and who was the first manufacturer who shipped from summer 2018. They shipped 500 products in the first 6 months and are ramping up production for 2019. 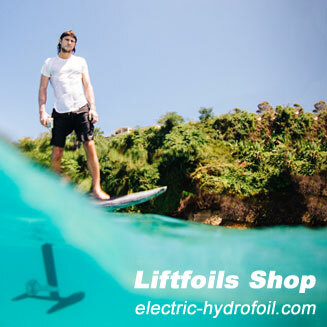 You can buy the eFoil directly at Liftfoils in Puerto Rico or in the European Electric Hydrofoil Shop out of Berlin. 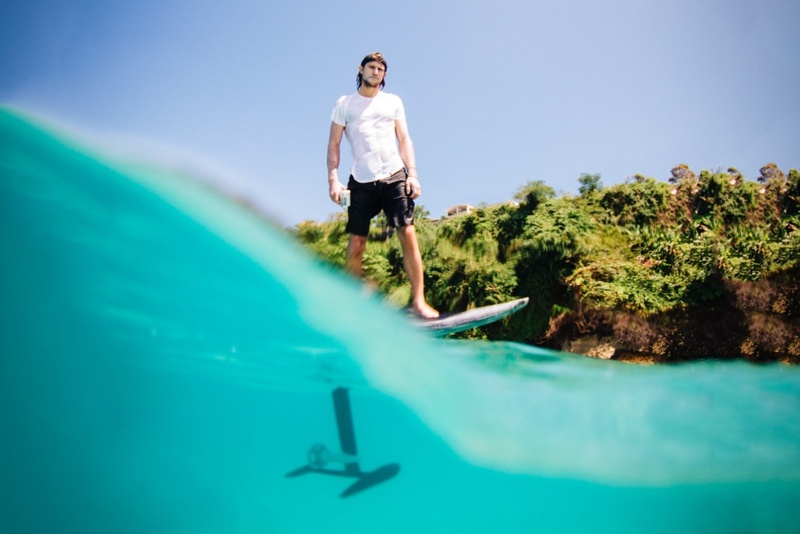 It takes an electric hydrofoil manufacturer at least another year from showing the first prototype or even ship to some bet users before he can release a reliable mass production e-foil. So a lot of boards were announced and shown at trade shows, but time will tell when and if they will be available for sale. 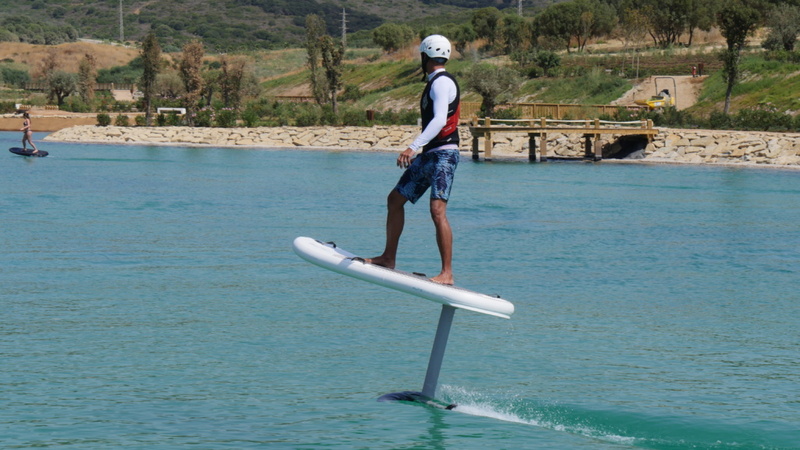 Jetfoiler – Another early electric hydrofoil which was announced in 2017 was Jetfoiler from Kai Concept. The Jettfoiler however has still no release date even 2 years later. CabraTec -Cabratec from Czech Republic started to sell their EasyGoat to beta users in 2018 and is expected to sell larger volumes in 2019. Fliteboard – So is Fliteboard from Australia. 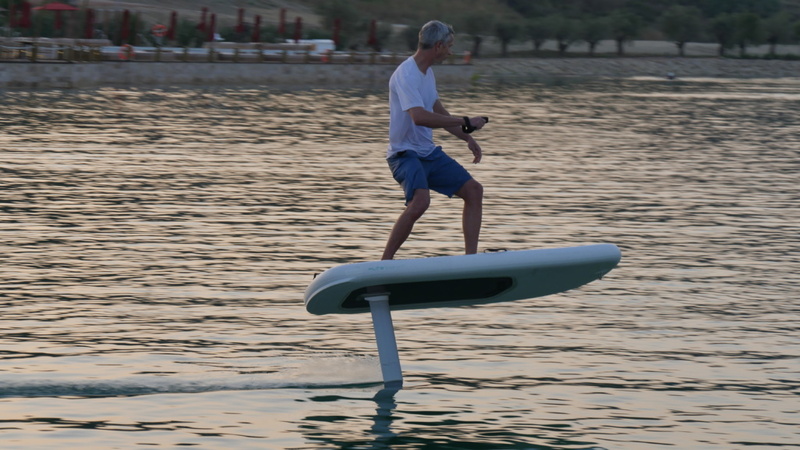 The so called “iPhone of electric hydrofoils” (because its attention to detail and beautiful design) shipped to beta users end of 2018 and is ramping up production for summer 2019. Takuma Concepts – The E-TAKUMA from Takuma Concepts was announced end of 2018. It is a modular system where the different components can be also used without battery and motor. For example for Windsurfing. Flying Rodeo – FR is another company from Czech Republic which wants to focus on custom made e-foils in lower quantities. VeConcept – This kickstarter project from Canada wanted originally only build components for DIY electric hydrofoils but now announced a complete board for 2019. In addition you see more and more brands from China such like Waydoo and Hoverstar. You can compare all these electric foils in our e-Foil comparison. 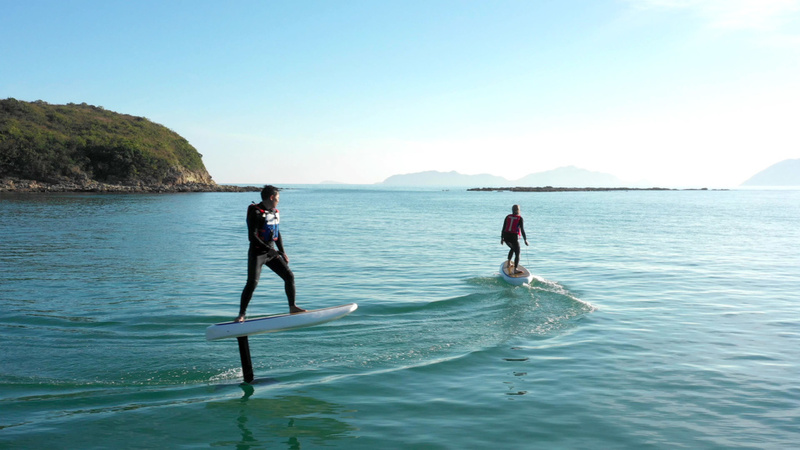 Electric hydrofoils are similar to electric surfboards and Electric-SUP boards controlled by a bluetooth remote control which accelerates the board. Carving works exactly like an electric surfboard, but is slightly more difficult as you also need to control your height with your body weight. 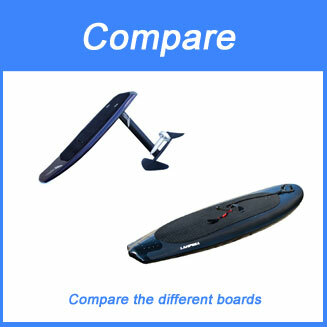 Most boards have a hard carbon fibre hull, but some manufacturer such like CabraTec and Fliteboard are offering inflatable boards as well. Inflatable e-foils are easier to transport and protect for example your yacht. They are also easier to ride on the surface as they usually have more volume, but on the other hand they create more resistance on the water surface which makes it less smooth when you go up and down. 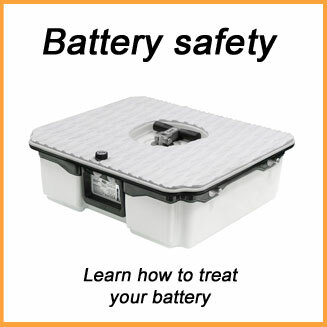 The boards usually weigh around 15 kg and another 15 kg for the battery. The battery lasts usually around an hour if you fly. Beginners usually drain their battery in 30 minutes or less as they most of the time ride on the water surface before they can fly. Some electric hydrofoils start flying at speeds below 20 km/h and some can reach a maximum speed of 50 km/h. Most of the manufacturers offer different wings and masts. A short mast is easier to ride, but not good for aggressive turns. Similar is the story for the size of the wings. Smaller wings are for high speeds and aggressive carving, but difficult to ride. When the wings are getting bigger the speed goes down and the foils are more stable. Most of the hydrofoil brands are using a propeller which is protected by a duct. With VeFoil and the latest Audi prototype we have seen jet engines like the electric jetboards use. In both cases the engine is connected to the mast right above the wings. It will be very interesting to see how many electric hydrofoils will really ship in volumes 2019. Lift Foils certainly has a head start, but in a few weeks / months (I am wring this article in April 2019) we will see who else can successfully deliver. Prices range from 8,000 to 15,000 EUR or more, but you usually get what you pay for. For such a product you want to get the best quality materials you can get and a battery with premium lithium ion cells and an advanced battery management. If you end up with a cheap board which has cheap components it can become dangerous. High quality parts are expensive. If you start foiling please wear a vest and a helmet, because it is for sure that it will take you a few crashes until you master the e-foil. You start lying on the board, get on your knees, stand up, position your feet and start foiling. For some people this may take 15 minutes for others 2 hours. 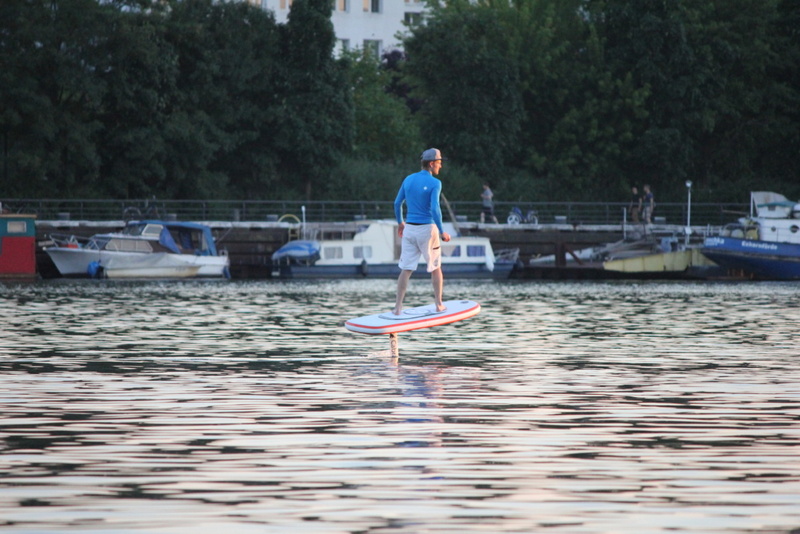 After 4-5 hours you should feel comfortable on your electric hydrofoil. This actually faster than learning to kitesurf or windsurf for most people. The feeling is just awesome. It is silent, creates no noise or waves and doesn’t harm the nature. 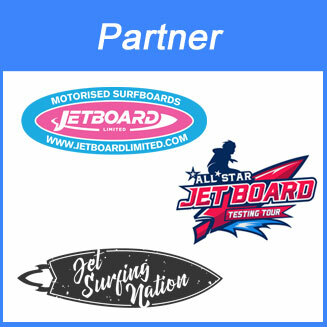 As a former windsurfer, wakeboarder and Jestki fan I can only recommend it. It is so much fun. Set the power to level 1 (beginner) with the remote control. One notices very fast that unlike with a normal surfboard, the top always wants to go up when accelerating. It is therefore very important to move the weight forward. When lying down you have to pull yourself forward with your hands after accelerating. 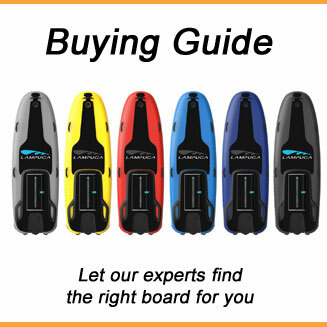 Keep sufficient speed, otherwise the board will sting into the water with the front and it will be unstable. Now do a few laps lying down to get a feel for the board and the remote control. Second step on your knees. Pull your knees up to chest height with your hands at the top and continue on your knees. Now turn a few laps again to become safe. Get up. To stand up, the front foot should be positioned at the same height where the knees were before. The rear foot is offset laterally further back. Now find a comfortable foot position while standing and do a few laps again. Don’t get too slow, otherwise the top will come up again. Fall properly. If it gets too unstable, use the last stability to jump away from the board. Never jump forward. Always jump to the side or back. As already mentioned one should wear helmet and vest. The first flight. As soon as you can ride safely standing on the surface, you can start flying slowly and step by step. For this you need enough speed. Depending on the model and weight of the rider, the performance may have to be adjusted from beginner to advanced via the remote control. As soon as you have enough speed, move your feet backwards and your upper body forwards so that the center of gravity remains the same. If you now move the center of gravity backwards, the electric hydrofoil will lift off. The height is not controlled with the remote control, but only with the weight shift. The first minutes always fly only briefly and land again. Then increase the flying time bit by bit. It takes a little practice to find the right foot position for yourself. How far back you have to stand depends on your weight. The feet should be more than shoulder-width apart in the direction of travel so that you have more room to move your body weight. Furthermore, the feet have to be offset sideways (shoulder width), so that you have more balance and leeway for steering.